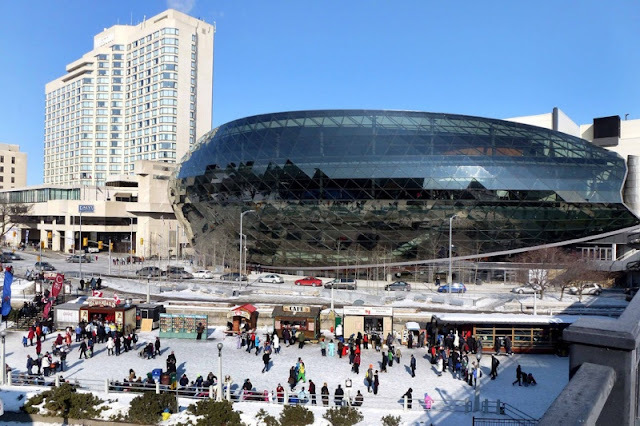 Sustainable development has been growing rapidly in recent years across Canada. As a people, Canadians have always been very ecologically-minded, so a rapid acceptance and embrace of green development only comes naturally. And to that level they have taken the American designed and internationally accepted LEED (Leadership in Energy Efficiency Design) standard and modified it for their own climate and needs. 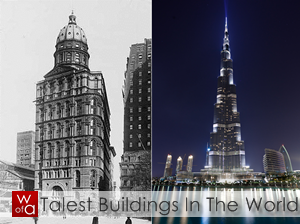 As such, there are some pretty interesting projects popping-up across the country and here’s a list of some of them! 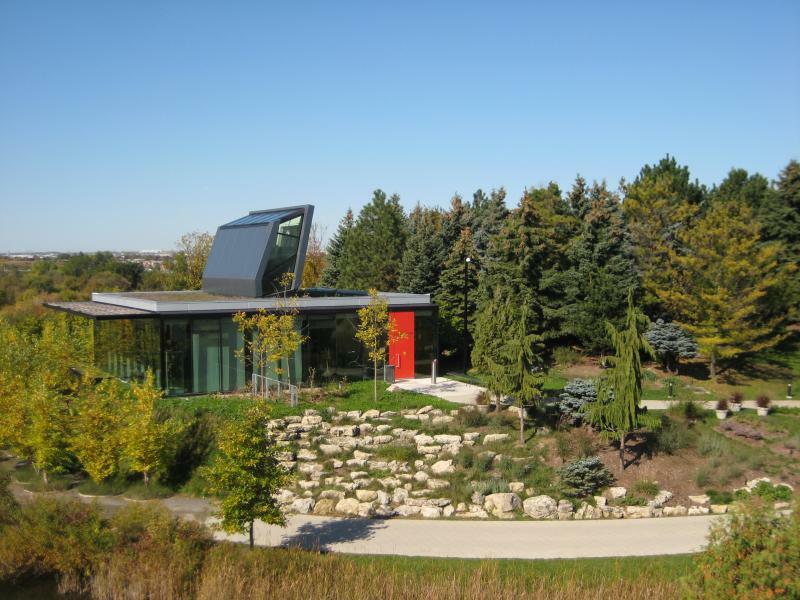 The Centre for Urban Ecology, located on the campus of Humber College in Toronto, is a LEED Gold certified building that combines many ecologically-minded features. Energy-efficient lighting fixtures with occupancy sensors ensure that there are no lights left on needlessly, while rainwater is collected and used for toilets. It is an excellent model of efficient and effective urban construction while maintaining lower costs and a lower overall environmental impact. The Ottawa Convention Centre was designed with a LEED Silver certification in mind, but in actuality, it meets the qualifications for a Gold standard. Rainwater is harvested from the roof for use in toilets, a savings of 969,000 gallons of water. Recycled steel was used for roof trusses, and the building’s unique glass design in the lobby, the curtainwall, lets in natural daylight and keeps indoor air inside, thus leading to a decrease in lighting and heating costs. Even the housekeeping staff maintain green practices by avoiding the use of environmentally-damaging chemicals. Instead, they use electrolysis, ionization, and electroporation to clean the interior. 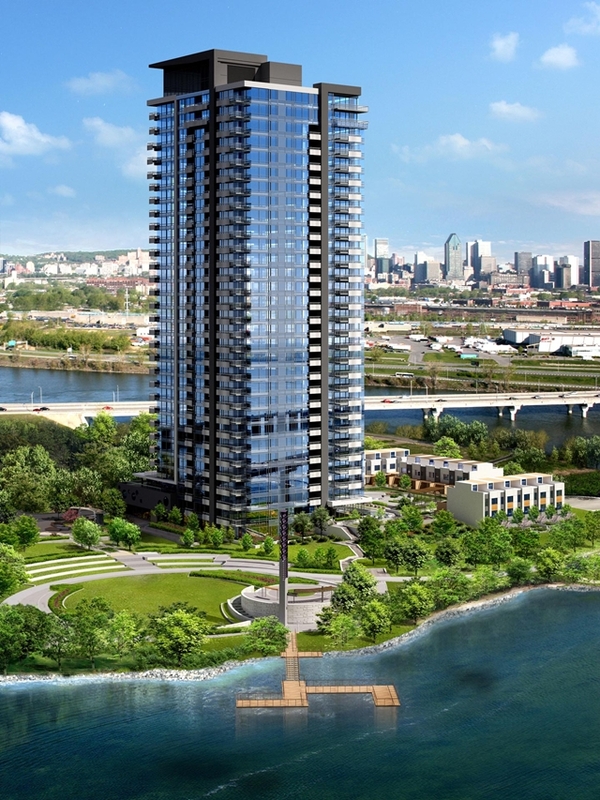 The Evolo condominiums on Montreal’s Nun’s Island seek to gain LEED Gold certification, as part of the greater Pointe-Nord ecological community. High-efficiency glass windows and geothermal heating and cooling combine to reduce energy consumption and costs, while lowering environmental impact. A green roof over the underground parking garage enables improved water retention while creating a visually pleasing environment. Evolo’s landscaping uses plants native to the area to reduce the need for pesticides and dependence on potable water. Parks and green spaces are built into the master plan, encouraging people to walk and explore their surroundings. Another environmentally-conscious building under construction in the Montreal area is McGill University Health Centre’s Glen Campus . Energy efficiency and improved air quality are the main focus of this new facility, designed to meet LEED Silver certification. Healthy lifestyles are encouraged through easy access to bike paths and rakes, walkways, and carpooling initiatives, as well as being close to central bus and metro routes. The hospital believes that sustainable development lends itself to creating a healing environment for patients, while enhancing the workplace for professionals. In work and at play, people want to live in an environment that is sustainable and efficient, while maintaining the perks of urban life. With new materials and recycling practices, as well as a greater understanding of such practices by people at large, such green buildings are becoming the new norm in our nation’s cities. Alex Wong is a freelance writer starting his career-off in writing about the thing he’s most interested in: architecture around the world.